The United Nations Environment Assembly (UNEA) of the United Nations Environment Programme (UNEP),a universal assembly created by the United Nations (out of Rio+20), which every two years gathers ministers of all nations to take action and agree on wise policy that can ensure a healthy environment for our generation and those to come. This was Achim Steiner's last UNEA. 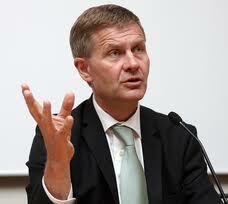 The new Executive Director of UNEP is Erik Solheim present Chair of OECD DAC. He is a Norwegian politician for the Socialist Left Party (SV). 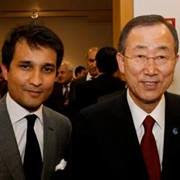 He was appointed Minister of International Development in 2005 and also Minister of the Environment in 2007, and sat in both offices until 2012. Solheim was leader of the Socialist Youth from 1977 to 1981, party secretary from 1981 to 1985, and member of the Parliament of Norway from 1989 to 2001. He was party leader from 1987 to 1997. 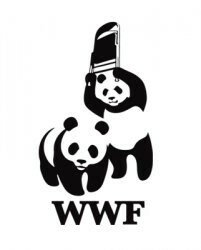 Has WWF-International left the building? Little noticed among the many more prominent – and frequently tragic – international news events since the start of the year, the world’s largest international environmental NGO decided to drastically re-make the structure of its international secretariat. The 4th Global Conference (16-19 May 2016) in Copenhagen Denmark will focus on how best to implement the 2030 Sustainable Development Agenda. It will have a particular emphasis on maternal, sexual and reproductive health and rights. Conference web site is here. "reflect the integrated, indivisible, interlinked nature of the sustainable development goals and three dimensions of sustainable development, including cross-cutting issues as well as new and emerging issues, and will serve as the lens through which to review all 17 goals" It also suggests that a set of goals will be discussed at each session representing the three dimensions of sustainable development and that an indepth review on progress review of progress of all goals over the course of a four year cycle, with the goals 17 discussed annually. The Time Has Come - Sustainable Development Private Finance to Support the 2030 Agenda By Steve Waygood and Stephanie Maier, AVIVA Investors and Felix Dodds, Associate Fellow at the Tellus Institute. Published by New World Frontiers and available here. The second announcement that was pending is who would head the UNFCCC? 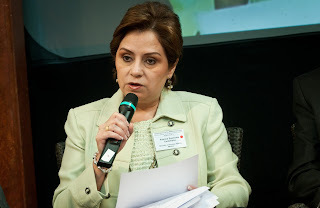 The answer it seems is that of Former Mexican Foreign Minister Patricia Espinosa She will take up the role as the new Executive Secretary of the United Nations Framework Convention on Climate Change (UNFCCC). UN Secretary-General Ban Ki-moon will now need approval by the 11 member U.N. bureau of the UNFCCC. This was reported today by Alister Doyle of Reuters. 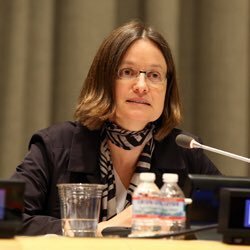 She was favorite once Erik Solheim was proposed by the Secretary General for Executive Director of UNEP. She will replace Christiana Figueres, a Costa Rican who took over the UNFCCC after the disastrous Copenhagen Climate Summit and steered countries to the agreement in December last year in Paris. Espinosa is at present the Mexican Ambassador to Germany and has played an important and very well respected role in the climate negotiations.